“Ibsens is a good value option for a long weekend or simply an overnight stay. 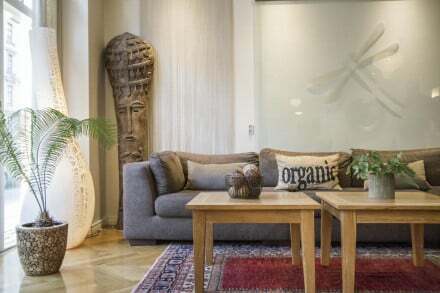 It is situated 5 minutes' walk from Nørreport train, bus and metro station, and easily accessible to and from the rest of the city. It is near the university and several large churches. Of particular note is the charming Torvehallerne market situated between the station and the hotel, with amazing flowers, fruit and veg, and a bustling indoor covered area with delicatessen stalls and coffee outlets. There is a good selection of restaurants and cafes in the neighbourhood, and the area itself has a younger age profile, which makes for a different vibe from other more central parts of the city. Oriental Ni’mat Spa at Ibsens' sister hotel Kong Arthur. Tivoli Gardens, the amusement park that helped to inspire Walt Disney. Strøget - the longest pedestrian shopping street in Europe. 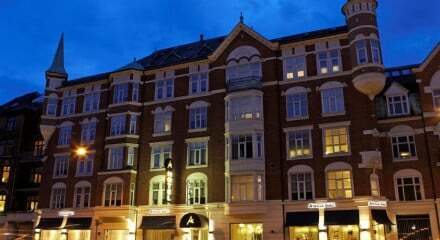 We also think the local feel at Ibsens Hotel and the location right by the food market and Noerrebro Station is attractive to our guests. The breakfast buffet at Ibsens Hotel is characterised by seasonal and local produce, and is almost entirely organic. Our guests get the opportunity to experience the Nordic kitchen with its wholesome foods and fresh flavours from the harsh Scandinavian climate. We believe in quality over quantity and follow three rules that we consider dogma: local, organic, and sustainable. Yes, we have 2 restaurants at Ibens Hotel, an Italian, La Rocca, and a tapas restaurant, Pintxos. We also often recommed our guest to dine at Höst: “Restaurant Höst has brought a taste of rustic Scandinavia into the midst of the urban Copenhagen ... And thus a true sense of what it means to be Danish '. All our room types are popular. If you are travelling on a low budget, the Tiny, Small and Medium (for 2 people) are a good match. If you want more comfort and more space our Large, X-large and Junior Suites are good choices. Expecially the junior suites are great. They are situated in the corner tower and have a nice view - over 4 streets. They also have large - and a little bit vintage - bathrooms, with an old fashioned bath tub. We are not really a childrens hotel. 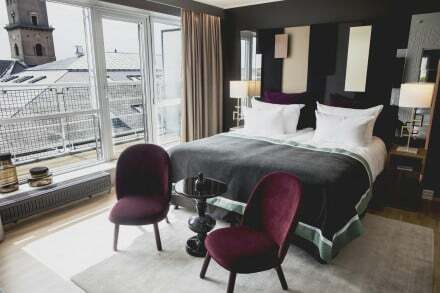 Ibsens Hotel is situated in the center of Copenhagen, where space is scarse. However, we do make extra beds in the large rooms, and we have a courtyard behind the hotel leading to a green garden. Beside the nearby food market is a large square, where children are playing.